With almost two decades of experience in technology financing, Jari has seen the ups and downs of the industry many times over. His ability to put things in perspective helps entrepreneurs understand the undercurrent and maintain focus on the essential. Prior to Conor, Jari worked as Founding Partner at Eqvitec Partners, a Finnish venture capital company, and as Investment Director in charge of seed and early stage investments at Sitra, the Finnish Innovation Fund. He has served as a board member in several early stage venture funds and numerous start-up companies. 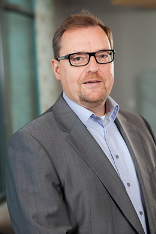 Jari is now most actively involved with Crystalsol and TactoTek. Read more and connect with Jari Mieskonen on Linkedin.